und so starte ich denn nun also einfach mal frech dieses Thema. In der nähe von Waldsassen in der Oberpfalz,.direkt an der tschechischen Grenze. Das Treffen ist das älteste fortlaufend ausgetragene Event der deutschen Mitsubishiszene. Also,..... wer von euch ist dabei und fährt Anfang August nach Bayern ? Responsible for any content, image rights and attachments of this posting at (Saturday, June 25th 2016, 6:09pm) is the author K . himself. Responsible for any content, image rights and attachments of this posting at (Saturday, June 25th 2016, 6:35pm) is the author Schnitte himself. Responsible for any content, image rights and attachments of this posting at (Saturday, June 25th 2016, 6:36pm) is the author Space Driver himself. Responsible for any content, image rights and attachments of this posting at (Saturday, June 25th 2016, 7:55pm) is the author Tschippi himself. Das kann noch nicht alles sein, was unser Forum aufzubieten hat, oder ? Wir haben doch jede Menge Mitglieder und User in Bayern. Responsible for any content, image rights and attachments of this posting at (Sunday, June 26th 2016, 8:33am) is the author K . himself. Ich bin dieses Jahr nicht dort. Responsible for any content, image rights and attachments of this posting at (Sunday, June 26th 2016, 11:44am) is the author vogti himself. Wie kommt es, dass du dieses Jahr die großen Treffen so konsequent meidest ? Responsible for any content, image rights and attachments of this posting at (Sunday, June 26th 2016, 12:12pm) is the author K . himself. Wir sind auch mit von der Partie. Und dieses Jahr auch wieder mit Übernachtung, damit wir mehr vom Treffen haben. Responsible for any content, image rights and attachments of this posting at (Sunday, June 26th 2016, 12:16pm) is the author R3nns3mm3l himself. Andere Interessen und Hobby´s. Bin dieses Jahr auf dem IFA und Trabi Trip. 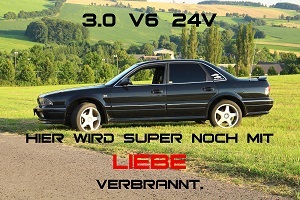 Und nehme da viel Treffen mit. Responsible for any content, image rights and attachments of this posting at (Sunday, June 26th 2016, 12:17pm) is the author vogti himself. Dinge übernehmen können, um auch unsere Events wieder attraktiver zu gestalten ? Thema oder gern auch per PN. Responsible for any content, image rights and attachments of this posting at (Sunday, June 26th 2016, 12:26pm) is the author K . himself. Bei mir wird's dieses Jahr das Reisbrennen werden. Da beide Termine so dicht aneinander liegen gehen leider nicht beide Treffen. Responsible for any content, image rights and attachments of this posting at (Sunday, June 26th 2016, 1:26pm) is the author schreckus himself. Responsible for any content, image rights and attachments of this posting at (Sunday, June 26th 2016, 1:31pm) is the author K . himself. Stell 5 Mitsus zusammen und Spann ne MFF Banner drüber. Flankiert von 2 attraktiven Damen in MFF Outfit die die (Fahnen-)Stangen halten. Kai poste doch mal das Treffen mit dem MFF Account bei Facebook. Vielleicht geht da ja was. Kannst das Sachentreffen dann auch gleich mitnehmen. Responsible for any content, image rights and attachments of this posting at (Sunday, June 26th 2016, 1:50pm) is the author schreckus himself. kommen im Verlauf unserer täglichen Statusmeldungen auch wiederholt. Auf das Stiftlandtreffen werde ich ein besonderen Focus legen. Responsible for any content, image rights and attachments of this posting at (Sunday, June 26th 2016, 2:13pm) is the author K . himself. Also wie gesagt, wir werden da sein und wenn du etwas planst dich auch sicherlich unterstützen. Responsible for any content, image rights and attachments of this posting at (Sunday, June 26th 2016, 2:18pm) is the author Schnitte himself. Responsible for any content, image rights and attachments of this posting at (Sunday, June 26th 2016, 5:11pm) is the author K . himself. Wir werden auch wieder da sein. Responsible for any content, image rights and attachments of this posting at (Sunday, June 26th 2016, 6:49pm) is the author Peter_V6 himself. Ich bin dieses Jahr auch wieder mit dabei. Wenn ich auch Freitag, wegen der Arbeit, erst sehr spät anreisen werde, aber das ist mir egal. Responsible for any content, image rights and attachments of this posting at (Sunday, June 26th 2016, 6:52pm) is the author schnieder himself. Responsible for any content, image rights and attachments of this posting at (Sunday, June 26th 2016, 6:59pm) is the author Schnitte himself. Kommen bestimmt nochvein paar dazu. Wenn es die Arbeit zulässt reisen wir auch Freitag schon an. Responsible for any content, image rights and attachments of this posting at (Sunday, June 26th 2016, 8:09pm) is the author K . himself.